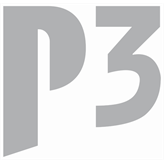 P3 offers international consulting and innovative engineering services in the automotive, aviation, telecommunications and energy industries as well as in the public sector. We are more than 3,900 Team members at 40 locations worldwide. We develop information systems with a focus on data integration, data analysis and machine learning. Together with our research partners, we set future-oriented ideas in application areas such as Industry 4.0, modern transport logistics and smart cities. Furthermore we use agile methods in an innovative and international work environment. Want to get notified about new jobs at P3 group GmbH?